I got a 9 page fax at my home fax with social security #'s, DOB's, clear photocopies of driver licenses and SSN #'s in error. 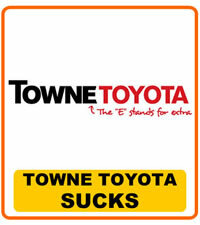 I called Towne Toyota to report the error and left a return fax #. I got no return call (didn't expect to) but wanted to tell them and anyone else about what I referred to as their egregious error in not confirming receipt of such important info.